We are very pleased that our emphasis on Artificial Insemination breeding to the industry's top bulls are making a big difference in our longhorn herd. Significant improvements are showing in higher birth weights, better conformation, desirable colors, faster weight gain and early horn growth! These are some of our 2014 calf crop results from successful A.I. pairings. 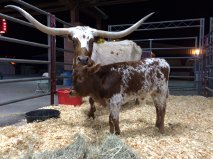 Dear Run Longhorns is proud to announce we have Ashtoreth and her flashy bull calf, DR Blue's Asteroid, on display at the Star of Texas Fair and Rodeo 2014 Season, Avenue of Breeds located in the show barn. Doug and Cynthia are at the rodeo grounds everyday, come by and say hello! We traveled to Hong Kong January 2013 and made the newspaper! 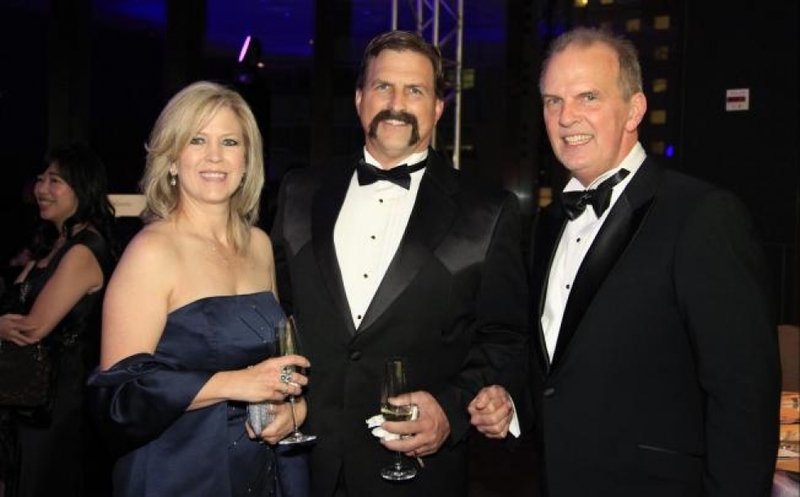 Architectural and interior design firm Archasia recently celebrated its 25th anniversary with a black tie soirée at the Asia Society in Admiralty. Arriving guests were greeted by founding principal Grover C. Dear, before making their way to cocktails and ultimately the ballroom for an evening of dining, drinking and entertainment. Tables were named for cities where Grover had made his mark and guests watched a multimedia presentation complete with an on-stage dancer tracing Archasia's development from its conception to the success it enjoys today. The MC of the evening was journalist Nury Vittachi, who kept things lighthearted for a dinner about architecture. Other speakers included architect Nelson Chen, actor Redman Maxfield, and even Dear's own sister who flew in from the United States for the occasion. And an oft-heard jibe at such events that guests should pay attention because there would by a test later turned out in this case to be true. NOW OFFERS LONGHORN BEEF STICKS, JERKY AND SUMMER SAUSAGE! October 2010, Brett DeLapp bringing Top Caliber, Clear Vision, Licite Agate and others down to the corral. Dear Run Land and Cattle Company purchased Clear Vision and Licite Agate from Brett and Darcy DeLapp. Hashbrown, group shot, Saw Dust, full sister to Top Caliber. Brett was taking Top Caliber down to Owen McGill's ranch and let us tag along. What a rare treat! We got to spend the afternoon with Dale Hutton, Roger Hutton, Owen McGill, Brett DeLapp, and Johnny Wilson. Roger and Dale were there to pick Top Caliber up to take him to Durant, OK for the LWC.